I know the definition of success, but I can’t tell you what it is. Because it is my definition. The meaning of success is unique to each and every person. Some people want sports cars, some people want money, some people want love, some people just want less stress. The successful people who work on Wall Street and make lots of money. There are successful people who live in small remote villages who fish all day long and they are living their dreams. 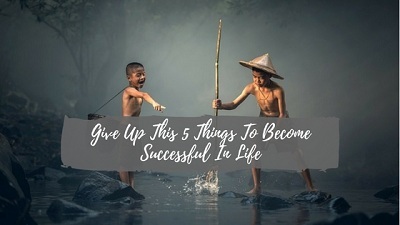 So, here are five tips that you have to give up if you want to become successful in your life. The truly successful people know their work. However, most people have this natural tendency to compare themselves to others in a negative, limiting fashion and when we look at other people achieve for some reasons. We feel as though it would be fortunate to even have a fraction of what that person has. When in fact we can have just the same and more. So, you need a change of perspective if you are going to drop this habit. A speak ask the audience who was talking about self-image and I want you to think of your answer to these questions. So, he was talking to an audience and he said a man went for a standard eye operation and it went wrong. He ended up losing sight in both eyes and he has compensated a million dollar. And the speaker asked the audience who here would change places with that man, he can have your eyesight and you can have his 1 million dollars. No one raised their hands, no one said a word. Then the speaker again said, there is also an incident involving a woman in an aircraft. There was a technical fault and now she is unable to walk. She was also compensated with a million dollar. Who will take place with her, she can have your ability to walk and you can her million dollars. And again no one raised their hands and no one said a word and he said see we are sitting here of a million dollar set of eyes, a million dollar pair of legs and we have not even started on the rest of the body. Imagine me go through the whole thing we will be worth over a hundred million. But, we treat ourselves like we are worthless. So, you need to see the value in you. If you are going to be successful because no one else will see the value in you. Until you do and you will reap the rewards of valuing yourself. This is so destructive to success because you are giving away ownership of your life. Because the greatest thing about these days and age is that you can beat whatever you decide. You are literally in the driving seat of your life and there is no limit to what you can do. But, naturally bad things do happen from time to time and sometimes someone plays a part in creating that scenario. Now, when that happens unsuccessful people go straight towards self-pity and all they want to do is point the finger rather than create a solution to the problem. “Oh my business partner was not serious and he bailed on me last time. So I cannot go into business for myself, I am just going to stay in his job where that would not happen to me”. So, what you are saying is you are going to miss out for the rest of your life because of someone else’s actions. When you give up responsibility for circumstances, you basically handing over the keys to life and saying look here you go, man, take this I think this belongs to you. I clearly cannot look at this thing and that’s how people end up in careers and lifestyles that they hate. Because they keep blaming people rather than creating solutions for the problem that they face. The most successful people understand this so they take responsibility for everything. Even things that are not in their control because the old saying holds true. “Life is 10% what happens to you and 90% you do it”. So, take back control of areas where you have given up responsibility in your life. So, I am talking about wealth but is about success but regardless what you are willing to do is a direct indicator of how much you can achieve. Because everyone wants their version of success, but most people have their own terms and conditions in their mind about what is acceptable in order to achieve it. So, think about like this, would you, right now like to take your annual income and make it into your monthly income. Of course, you would do, who would not and I said to you, OK all we need to do is call 50 business a day telling them about your new products. What you will find is that most people will be too scared to make the first call and a little quicker. If your objections and then ask if there is something else you can do instead. Because their comfort zone is only so big and because their comfort zone is only so big. The amount of wealth or success you can achieve is only so big. So, now you can see the difference between what you desire and what you will do in order to get it and if you won’t do what it takes you won’t get it. Successful people know this because it is not a coincidence that the things were most afraid to do are often the things that will get the best results. So, be aware of the things that you are putting off and make sure you put these things first because their chances are they are going to get you closer to your goals than the things you are currently doing. An unsupportive people whistle is super important to find the right people to aid your success like mentors and coaches are equally important to remove the people that are holding you back. Because you are going to face enough challenges gone for success anyway. Les Brown, “You want to practice OQP which is Only Quality People” and in one of his books, he recommends a really effective activity. These will be obvious for the most part you can see who stresses you out and who lifts you up and if you cannot decide to think to yourself. Could I share my biggest goals with this person, would there be a 100% supportive, would there question it lack of interest? Of course, this is not all relative and it doesn’t apply to families but this has occurred in dozens of the most successful people who had no idea that this is going to happen to them form their own relatives. If you cannot cut someone out of your life completely, just limit your conversation with them that doesn’t revolve around your work or your ambitions or your long-term goals. It might sound harsh but this is your life and we are talking about it. Since, success is not just about what you do, but who you become. In order to achieve you need to be that person now because one day that person will be you and a great way to do this is to write up a plan for the life you live when you do achieve your goals. It could be five years’ time, one years’ time or it could be ten years’ time but what does this person do. That person achieved these goals, what does that day look like and whether it’s your goals in business, family, relationship, health, whatever it is written it down. 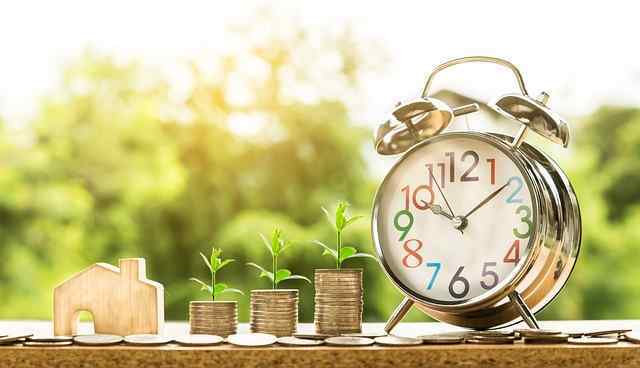 Now, the exact actions will be different for everyone, but the point is, if you truly want to be successful then you should really know what a day-in-the-life looks like. Because this is the lifestyle you are going for, right! So, once you have done that, write down your current rituals and see if they are in alignment with the success that you are going for and if you are saying to yourself well, I do not have any rituals. We all have rituals, listening to a certain radio station in the car, watching YouTube videos on the toilet, having a coffee first thing in the mooring as an energy boost even though you have just had a full night’s sleep. These are all rituals, you do them daily and you don’t even realize you are doing them. So, you want to cut out the ones that do not match up with your long-term goals. So, to make this a more sustainable transition, set daily rewards for when you accomplish your goals.